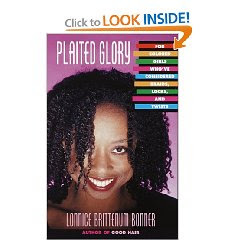 I ordered "Plaited Glory: For Colored Girls Who've Considered Braids, Locks, and Twists" by Lonnice Brittenum Bonner from Amazon last week. It came in the mail yesterday and I finished it within hours. 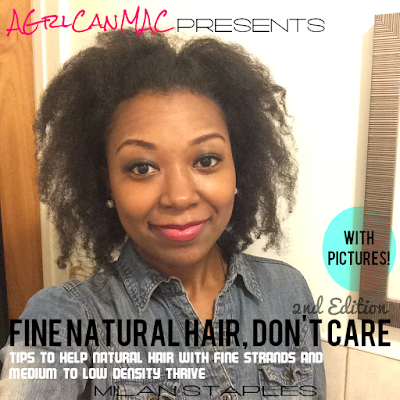 It's a great quick read on taking care of your braids. Lonnice also includes some cute stories. It's an overall informative, yet entertaining read. Since I'm following the C&G Method, it has become my Braids Bible. I just devoured it last night and I already have pages marked and various paragraphs throughout the book highlighted! There is lots of useful information and she includes pictures of various styles. I really like that she provides great solutions for washing especially and maintenance for your braids. All you braids wearers and C&G heads, this is a great book to add to your collection. It just might mess around and become your Braids Bible too! Read it, enjoy it, share it! I got it used for around $2! Doesn't get much better then that. I posted the link at the bottom so you don't even have to go searching for it. Stay blessed and beautiful and have a great weekend. My bad. What's C & G? Crown & Glory? ?